For those of you that just cant get enough, we have partnered with some amazing artists to bring additional activities to enhance your festival experience. These are not included in our ticket price, but are well worth the cost to make the most magical weekend of your year. It’s a wizarding party and the spells are flying! 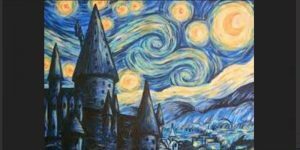 Join us at Froglumps School of Witchcraft and Wizardry for a magical murder mystery dinner unlike any other! Elite witches and wizards of the wizarding world have gathered to honor the retirement of our beloved headmistress, Athena Acropolis. But keep your eye out for troublemakers…with guests like Reuben Hoggard, Dragon Malformed, and Shrivel Short-Shrub, anything can happen. And when one of the guests winds up dead, it’s up to you and Rhombus Rumblerore, our Auror Detective, to figure out who the murderer is before the next victim gets snuffed out! Dress to impress in your best witch and wizard robes, but Muggle garb is also allowed. Audience costumes encouraged, but not required. Dinner is included with the ticket price. EXCLUSIVE OFFER: Reserved front-row seating for The Great Boodini’s Saturday 3:30 pm show included with the ticket price! The mystery dinner will be held in the Bark River Meeting Room at the Waukesha County Expo Center Arena, using the South entrance. Tickets are presale only and will not be available at the door. Cost is $35 per person or $280 for a table of 8. Seating is limited. No refunds will be given unless in the event of cancellation by Midwest Magic Fest or Northern Illinois Players Troupe. Denyse (Lipka) Carbonell is a graduate of The Cleveland Institute of Art. She received her Masters in Art Education from Case Western Reserve University and has been teaching art since. 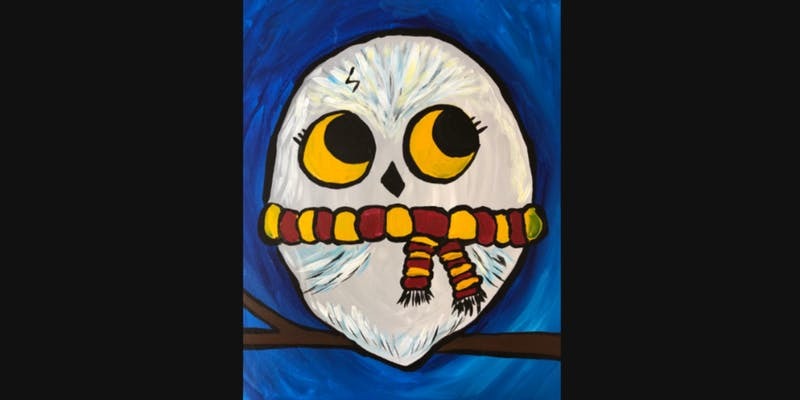 Each amazing session will be Wizard Themed and is open to all ages and painting experience. 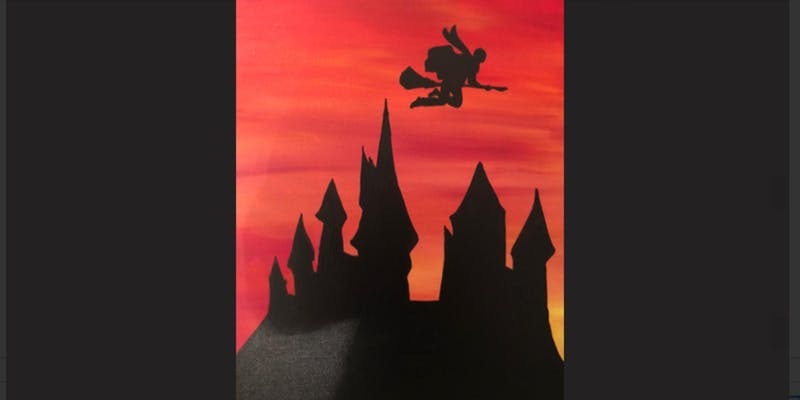 Create your own 16 x 20 acrylic canvas painting. 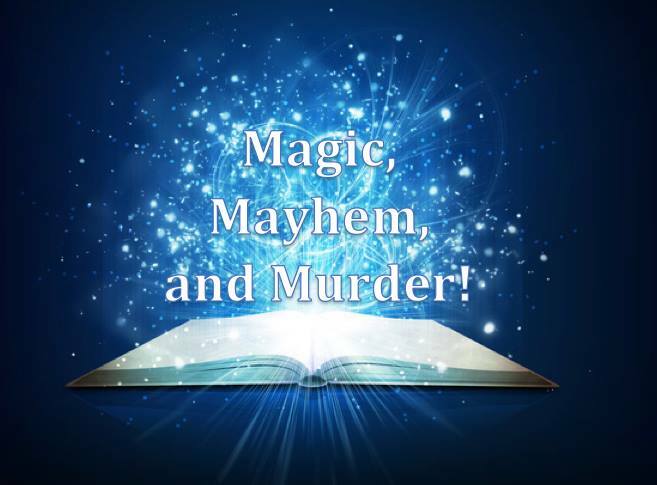 © 2018 Midwest Magic Fest | All Rights Reserved | This event is not sponsored or endorsed by, or associated or affiliated with, J.K. Rowling or Warner Bros., who are not responsible for this event. “Harry Potter,” “Quidditch,” “Wizarding World,” and all other names, elements, and indicia from the Wizarding World universe are trademarks of Warner Bros.